Curl Curl Joey Mob was lucky to participate in their first Jamboree on the Trail on Saturday the 13th May. The Joeys went on a two hour walk through the Warriewood Wetlands (Sydney’s Northern Beaches) looking at all the different types of birds and admiring the new section of boardwalk. We also walked through Irrawong reserve to see the waterfall (a little disappointing after prolonged drought) and then a side trip to the secret waterfall. Joeys got to release their inner tarzan and swing on some very impressive vines and were fascinated by the massive, dead (smelly!) eel at the base of the waterfall. Along the way we learnt about the importance of the wetlands and how the sand and reeds filter pollutants and sediment before they reach the fabulous Narrabeen Lakes. In fact if the wetlands had been built over (they were privately owned until 1996) Narrabeen Lakes would probably be as polluted as Manly and Dee Why Lagoons (and not suitable for swimming or boating). That makes the $4.6 million Pittwater Council paid seem more than worthwhile and we encourage other groups to get out and enjoy this circular walk. The walk is nearly all stroller friendly so we were able to get lots of parents and little brothers and sisters along to enjoy the day. It is also a fabulous spotlight walk if you can’t make it there during the day. Here’s some pictures from our community clean-up / JOTT. We were cleaning up the trails (there for JOTT) around the Waterford ponds (and the edges of the pond). We had Cubs from 2nd Simcoe, a Venture from 1st Simcoe and two from Old Windham, a Beaver colony and cubs from Burford and even a girl guide from Burford, along with all our Scouts and a few beavers, many parents and lots of leaders. A huge amount of garbage was cleaned up and the clean-up was a great success. We are thinking of making it a yearly event and hope to have help again from other groups. Some of the more interesting items included a washer, a microwave, a pick-up truck load of tires, a bike (believed to have been stolen from a friend of one of our Scouts, duly turned in to police). We hauled away 6 pick up truck loads, 2 flatbed trailer loads and 3 box trailer loads. 4 of our Scouts a Venture and 2 parent volunteers continued on in the afternoon and hauled out another 2 truck loads. 1st Waterford parents provided a BBQ lunch for the volunteers, with assistance of donations from some local businesses and contributions from some of our parents. All in all a very productive day and a great way to incorporate JOTT into a very worthwhile project. 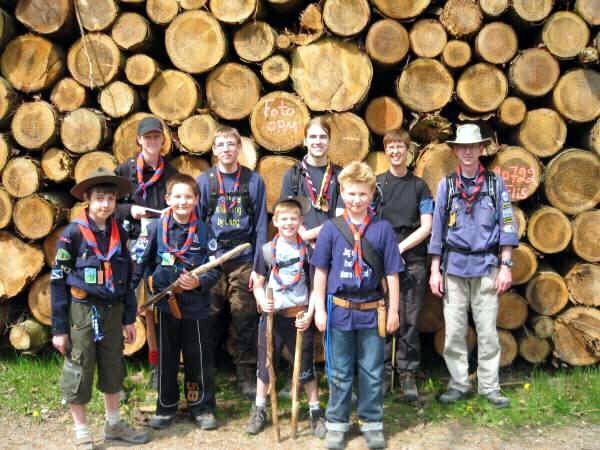 Glostrup Group went on JOTT 2006 with 4 mini-scouts, 3 clan-scouts, 1 leader, and 2 parents. We took a 20km hike. More photos. Group web site. Over the last weekend, 18 Scouts and their Adult Leaders of St. Stanislaus College Scout Group, participated in the Jamboree on the Trail, an International Event that requires Scouts all over the World to hike on the second Saturday of each year. All Scouts, whatever their age and wherever they may be in the world, are invited to participate in whatever way they can. In their own way, everyone will be hiking the same direction: towards a better future through Scouting. The Scouts of St. Stanislaus College choose as their involvement in this event to participate in an Incident Hike. The route comprised From Yarawkabra Creek on the Linden-Soesdyke Highway through the Glass Factory Road to Red Water Creek, then along a sand trail to the Guyana Motor Racing Sport Circuit, and then along Atkinson Airport Road to the CJ International Airport. 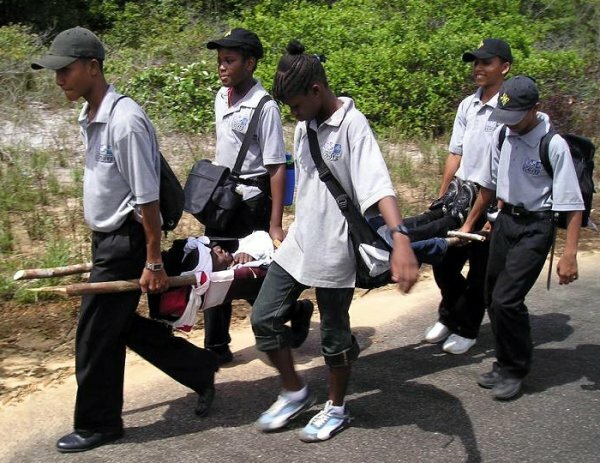 The Scouts carried out along the route several “Incidents” (involving the practice of Emergency First Aid), and Patrol Challenges (involving the use of Scoutcraft skills). 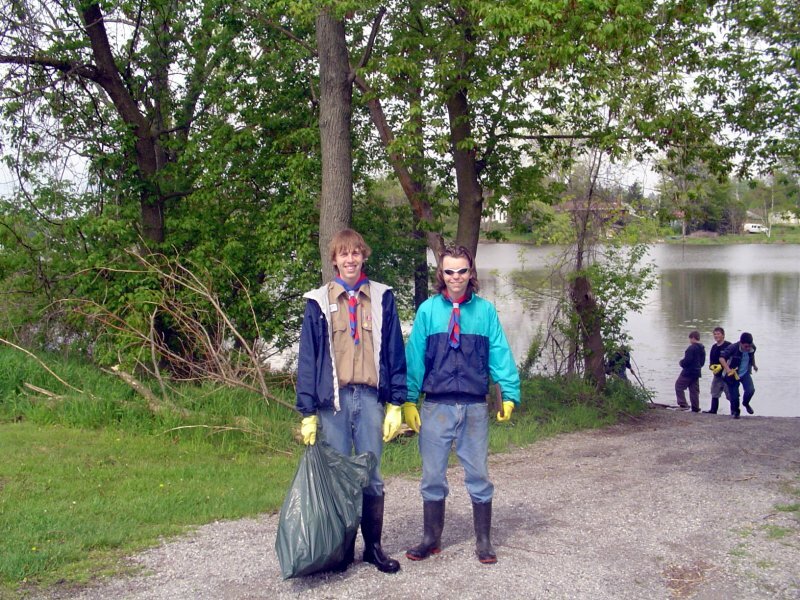 A Clean-Up exercise at Red Water Creek was also carried out by the Scouts. The participants were able to fulfil one of the requirements for the Hikers Badge. 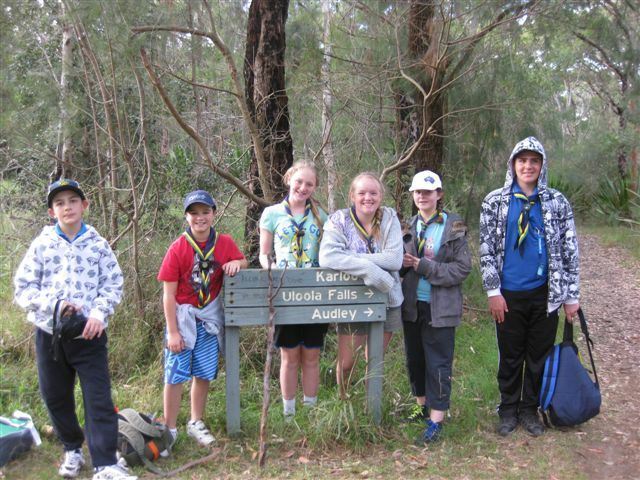 The St. Stanislaus College Scout Group continues to be one of the more active Scout Groups in the Scout Association. The youth members and Leaders of the Scout Group were recently involved in a Community Project where pre-prepared meals and drink were distributed to the Destitute as part of the Scout Associations’ “Share-A-Meal Day” Peace Project. 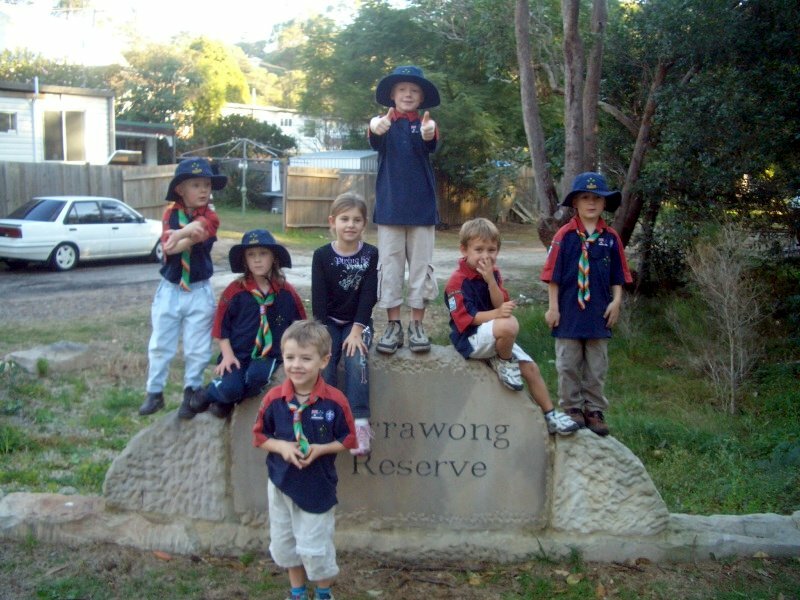 The Scout Group celebrates its 48th Anniversary next month. 12th Bolton Scout Group participated in JOTT at the Pike View Hike based at Bibby’s Farm Scout Camp Site near Chorley, Lancashire in the UK. The event, organised by Leaders from Bolton South District was a weekend camp with an incident hike taking place on the Saturday. There were 53 teams of Cubs, Scouts, and Explorer Scouts taking part in one of three different competition hikes around the West Pennine Moors. Teams had to complete a task at each of the several check points for which they were given marks. The team with the highest mark in each of the age groups won that competition. 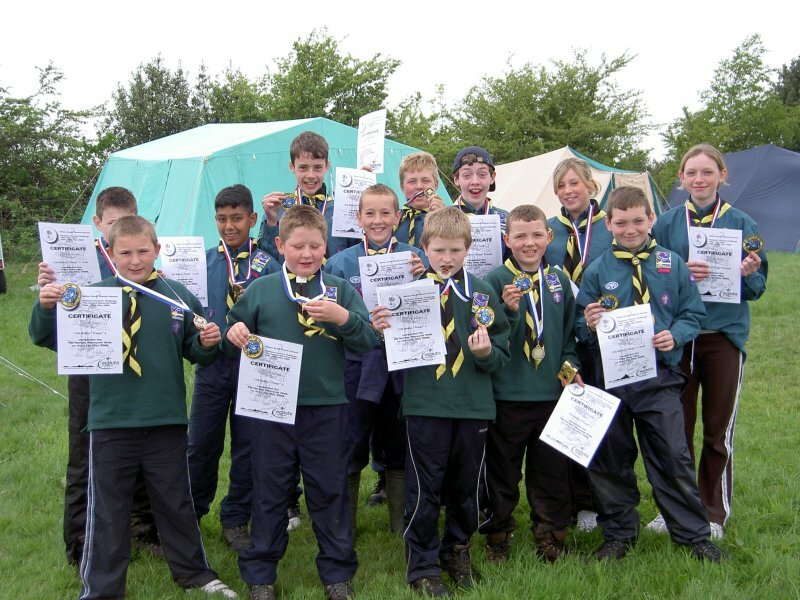 Our group had 13 boys and girls comprising one Cub team and two Scout teams entered and although were didn’t get placed, we were satisfied with our overall performance. The event was a great success thanks to the good organisation and the 80 people working in the background manning the radios and tasks at the check points, the sweep and rescue teams, hike marshalls, and the camp staff. We now look forward to next years event in Scouting’s Centenary year. Our hike followed an old fire road in the Angeles National Forest from Lake Hughes Road westerly to Cieniga Campground, about 7 miles away. Eight of us hit the trail at 5pm on Friday night, we had a rest-stop about half way and arrived at our campsite about 8pm just as it was getting dark. We spent a nice quiet night by a stream. We left camp about 8am the next day and retraced our route back to the van by 11am. The hike is a good first hike of the season since it is short, but still has a lot of elevation changes to keep things interesting and challenging. The weather was good on Friday night with high clouds that kept the sun out of our faces, but not the bugs. Sat. was sunny and hot (85 degrees F) but not unbearable. Our next hike will be longer and on a real trail, closer to what we’ll see on our 50-miler this summer. Troop 318 continued its tradition of participation in Jamboree On The Trail by hiking JOTT 2006, the troops seventh JOTT hike. As in other recent years the hike was used to provide an opportunity for training and Scout advancement. The five mile hike, with backpacks, was conducted by twelve troop members along the Seneca Creek Trail in Montgomery County, Maryland. 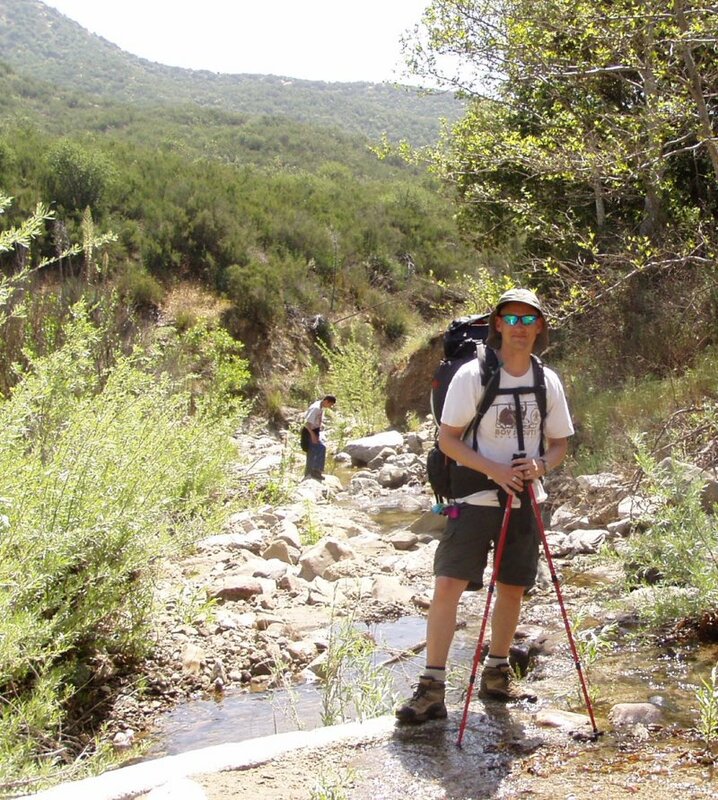 It was a five mile hike to meet the hiking requirement for Second Class Scout and it was conducted with backpacks to meet the hiking requirement towards the Camping merit badge. The training conducted along the trail included use of a compass, map reading, and identification of native plants. The follow-up to JOTT 2006 for the troop was conduct of an outdoor Court of Honor to recognize the Scouts for their rank advancements, to present awards recently earned by the patrols and individuals of the troop, to recognize the Scouts and Scouters who participated in JOTT 2006 and to share a meal with those who belong to and make the troop work. The new Scoutmaster, Greg Castello, thanked all who attended. He also conducted a change of position ceremony for the outgoing Senior Patrol Leader, Andy, and for the incoming Senior Patrol Leader, John. 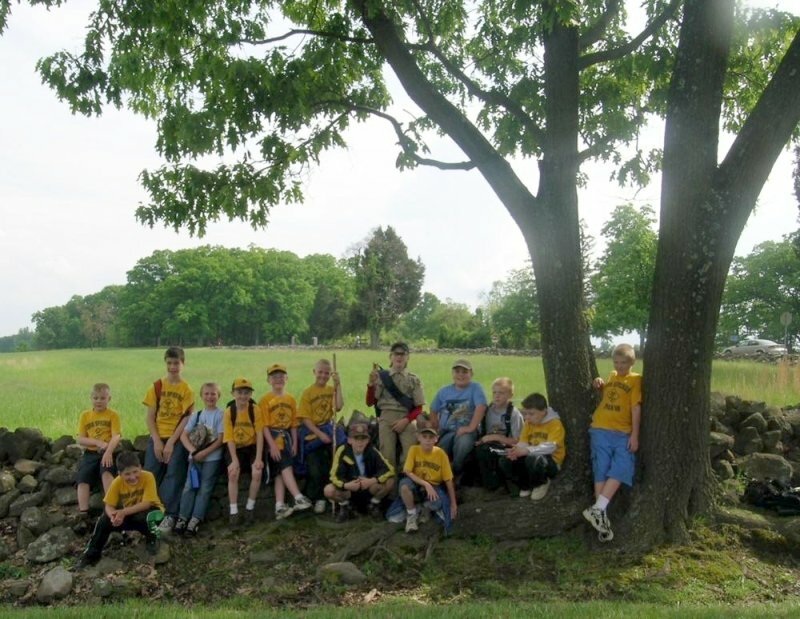 On May 13th, fourteen Cub Scouts from Pack 89 in York Springs, Pennsylvania came together at the Gettysburg National Military Park in Gettysburg, Pennsylvania to participate in the 9th Jamboree on the Trail. Getting out on the trail was easy for these fine young men and their parents for they also had a second goal in mind. They were hiking a section of the Gettysburg Heritage Trail, more specifically a portion of the Billy Yank Trail. This hike covers Union and Confederate positions during the three days of the Battle of Gettysburg. Their hike started at Devils Den, the sight of some fierce fighting on the second day of the battle. They then hiked to Little Round Top and the location of the 20th Maine Regiment during a portion of the battle. They also passed many farms along the way and got to learn about the impact that the battle had on the civilian population. The scouts then hiked through the Confederate positions along Seminary Ridge, viewing many of the state, regimental, and company monuments. They even had the opportunity to view one of the battlefields newest monuments, the statue of Confederate Lt. General James Longstreet. They finished off the hike taking the same route across the open fields that Major General George Pickett took on that fateful day in July of 1863. 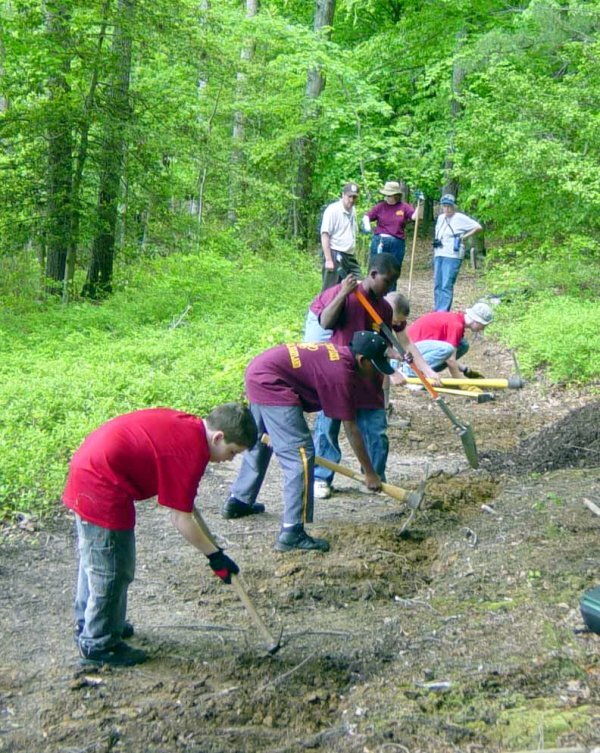 On May 13, members of Troop 1033, National Capital Area Council combined a service project at Patuxent Wildlife Refuge, Laurel, Maryland, with a hike on a trail in the refuge. Members of the troop elected to perform their service project along one of the beautiful hiking trails of the refuge. They leveled portions of the trail to improve drainage and spread mulch to help retard erosion. Everyone had fun working and hiking the trails. My Brother in Scouting, I’d like to tell you that the hiking that we made was a complete success. We had in the activity, 44 Boy Scouts divided in Five Patrols: The Cobras, The Ravens, The Bears, The Scorpions, and The Tigers. We also had Five Scouters or Adults in Scouting, We all had a great time with good Scout Activities, based in our Scout Development Plan and the program included a good action for the National Park when we went. The hiking was in the National Park called Macarao, located to 40 minutes away from the Metropolitan Zone of Caracas. The Park has an extension of 15’000 Ht and its bordering Caracas to the South and to the East. The park embraces the whole basin of the rivers Macarao, San Pedro and Jarillo and it occupies the Mountain areas and the undulating hills of the Cordillera de la Costa. The Landscape is characterized for being a Mountainous Relief which Slopes or pendants are not that inclined, and it is where the mentioned rivers go over the area. We finally met at 7.30 am in This meeting we explained to the patrols the importance of the activity, by saying that more than a million of boy scouts all around the world were making the same activity, in a direct contact with nature, just reminding one of the most famous phrases pronounced for our founder BP, “Leave the World in better conditions than you received it…”. Our Boy Scouts were really excited for the idea of sharing this activity with scouts of all over the world. 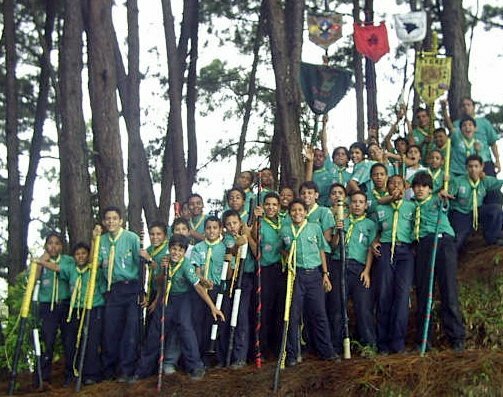 The idea of connecting boy scouts of so many different nations by a hiking activity added a positive energy to the activity. 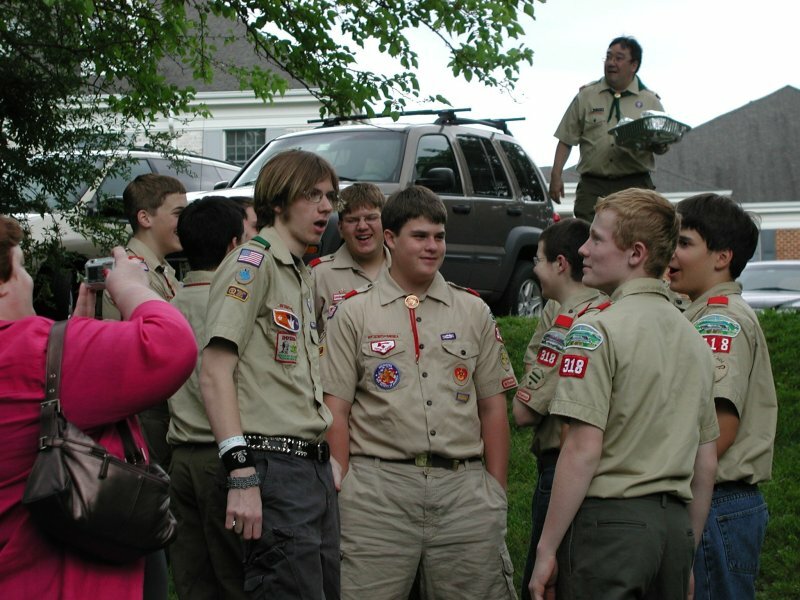 May 13th 2006 saw our Cub Scout Pack participate in their first Jamboree on the Trail. 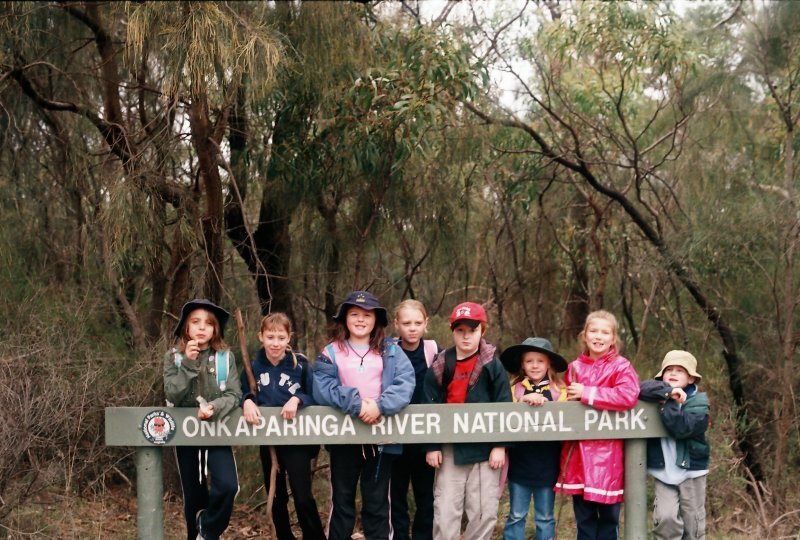 We chose the marked Echidna Trail in the Onkaparinga National Park near Adelaide and although we didnt come across any spiky creatures (Echidnas), the highlight for everybody was seeing a koala low in a tree only a few metres from the path. The trail meanders through dense bush, gum trees, steep banks and rocky paths. It was very peaceful until the Cubs arrived! Cubs observed plants and animals along route. Being out in the open, gave us the opportunity to hold a mock emergency so that Cubs could practice their First Aid skills to achieve some of their Boomerang and individual achievement tasks by successfully bandaging each other and their leaders before having a picnic lunch at a tumble down house. The Cubs were very pleased to receive their commemorative blanket badge and are looking forward to the next JOTT.